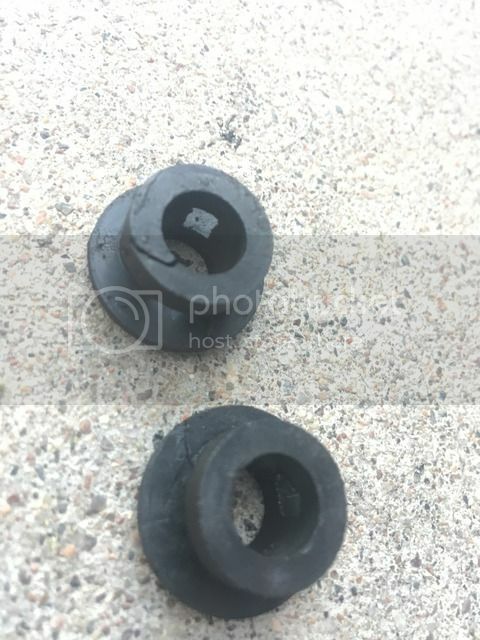 I've never seen a DIY for these, but I had similar bushings on my old e36/e46 so so I decided just to buy them and see how to do it. Make sure your transmission is not hot. 1. I only jacked up the front of the car, but for best practice jack up all 4 corners and USE JACK STANDS. 2. Remove the transmission under body panel(not the metal skid plate). 3. Locate the left and right carrier clamps on each side of the transmission. Use a flat head screwdriver to push the tabs towards the rear of the car. Medium amount of pressure is required to do this. 4. Pull the tabs away from the transmission as far as you can. You can also pull them completely out by rotating them and finding a sweet spot where it doesn't hit the transmission tunnel. This is not necessary at all though. ****** I forgot it was helpful to loosen the 2 bolts on the REAR bushing. Loosen them just a little bit, no need to take them all the way out. 5. Push up on the shifter carrier to free it from it's mounting position. You have a good 4-5" of clearance to work with here which isn't a lot but it's actually VERY EASY compared to the e36/e46 bmws since you can do this with the carrier still in the car. 6. Next you will want to remove the OEM bushings. 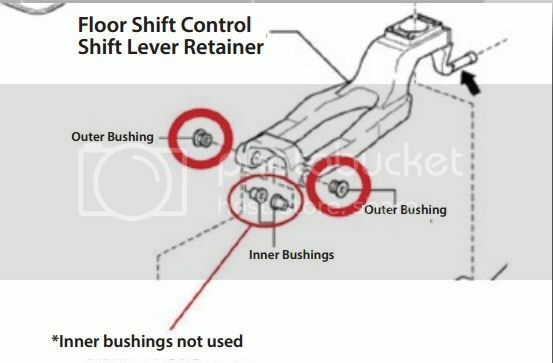 There are 4 bushings total that support the front of the shifter carrier. Two inner bushings and two outer bushings. The bushings are soft rubber and can very easily be picked and pulled using your hands..
Start with the driver side outer bushing. Use your left hand and dig into the bushing to pull it out. Passenger side outer is done with your right hand. Next do the passenger side inner by using your left arm to reach up and over the transmission and use your fingers to pull out the passenger inner bushing. This is why your transmission needs to be cold. Finally do the driver side inner. 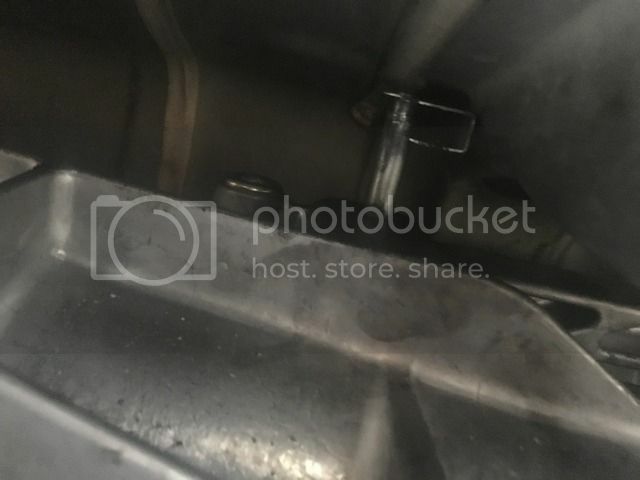 This one is tricky because the access point is blocked by the front pipe but I ended up using a 9/64" allen wrench and stuck it through the driver's side bushing hole to stab out the inner bushing just enough so that you can grab it and tear it out of the carrier. 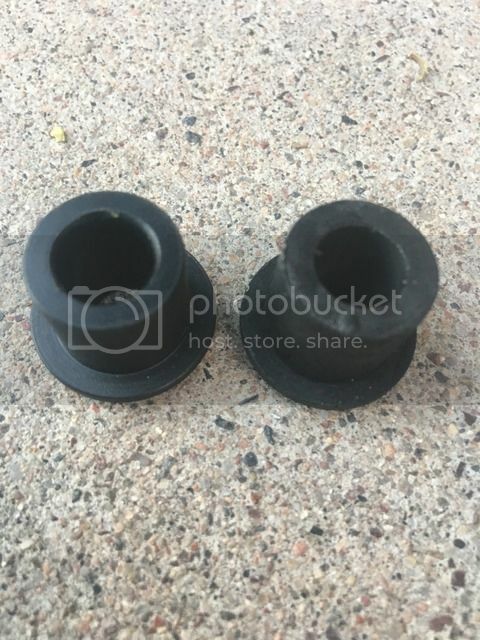 As you can see, the OEM rubber bushings are extremely squishy and will easily tear. The new bushings are much stronger. Grease up the new bushings. My Torque Solutions bushings didn't come with grease but I used white lithium grease I had laying around. With aftermarket, only 2 outer bushings are used, and these slide in very easily. When the bushings are fully pressed into the carrier, pull down on the carrier to lower it back into it's housing. You'll notice there is a little back and forth wiggle room with the carrier, so use that to your advantage when re-installing and re-aligning the carrier tabs/clamps. Install the transmission cover and you are done! Overall I can feel a difference with this mod. I currently have the Kartboy short shifter, Kartboy rear shifter bushing, MTEC shifter springs, whiteline transmission insert and Motul fluid. This dramatically improved how easily the car goes into gear, especially when cornering. It truly feels more like a bolt action rifle whereas before, even with all my shifter mods, it still felt weird putting it into 2nd or even 1st gear at a full stop. This just makes it click in so much easier. I was under the impression that the REAR shifter bushings for our cars would really dial it in, but these front bushings make the package complete. No extra gear whine from my initial testing. Last edited by norcalpb; 05-15-2017 at 04:36 PM. Just when you thought you've seen it all... thanks! Did mine today and the hint with the Allen key to get the existing inner bushing out helped immensely - much appreciated. I found lining up the carrier to reinsert the bolt to be a bit of a p.i.t.a. In the end I loosened my Perrin rear shifter bushing and it gave enough play to get things lined up. There's a noticeable improvement, but it didn't remove all of the the play in my shifter like I hoped. Nonetheless I'm happy to have done it. If I were to do it again, I'd do the rear shifter bushing, carrier bushing and trans bushing in one go, just to make life easier. I totally forgot that I had to loosen the rear shifter bushing bolts! I'll update the post with that info. I agree that there is still play in the shifter even with full aftermarket bushings in the carrier. 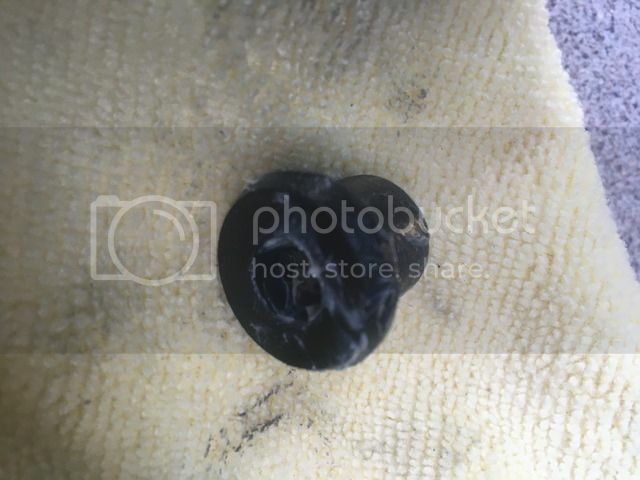 I think the cause is this tiny black washer not being thick enough. Rumor has it that getting a thicker metal washer (or possibly even the delrin ones from ace hardware) fixes the shifter rattle. Bump. 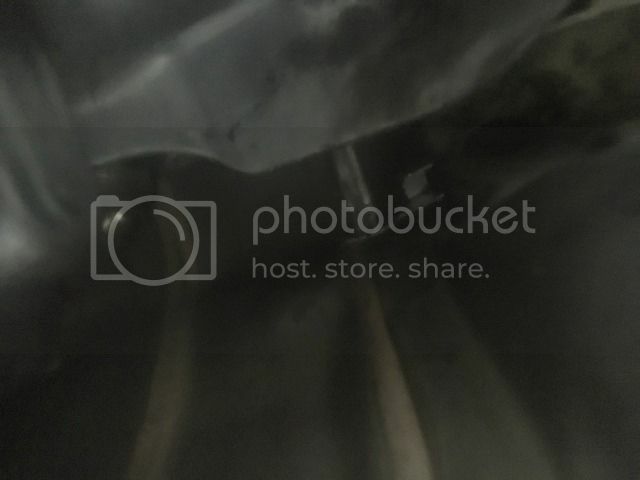 Is it possible to re-install the inner bushings? Perhaps it would get rid of some of the residual play? I’m sure you could put the inner bushings back in, but given how soft they are I can’t imagine them doing much. I figure the makers of these bushings feel as if one poly bushing on each side is enough to prevent flex. The best recommendation I could give would be to get a thicker washer for the bottom of the shifter. 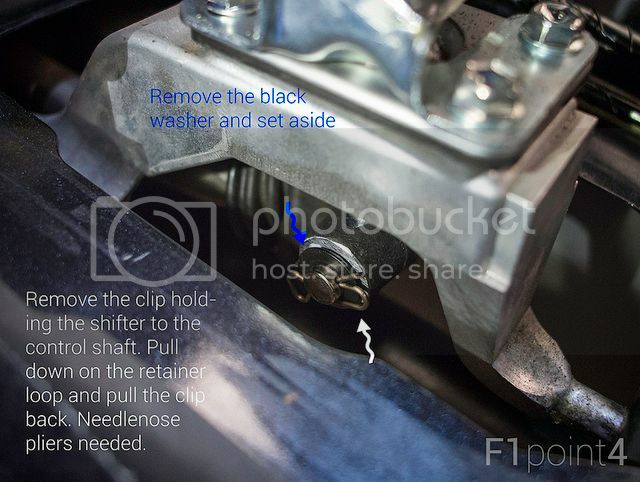 If you want to for sure get rid of the play check out the IRP shifter because it completely eliminates the OEM shifter carrier, and the need for these bushings. Update: don't bother taking out the inner bushings. It's not worth the extra time trying to pry them out, and the shifter feels better keeping them in. The Torque Solutions bushings are only designed to replace the outer bushings, not both the outer and inner. Still debating on whether or not I want to get these... Seems like major PITA install. I have the Perrin rear shifter bushing and Whiteline transmission mount insert so I'm pretty happy with how it is, though there is still some slop you can feel. I definitely want the MTec springs though. You definitely dont need to remove the trans. I've done the front and rear. I have the exact same setup, and the inserts made a huge improvement toward positive engagement. Engagement is easier and more direct throughout the shift pattern.